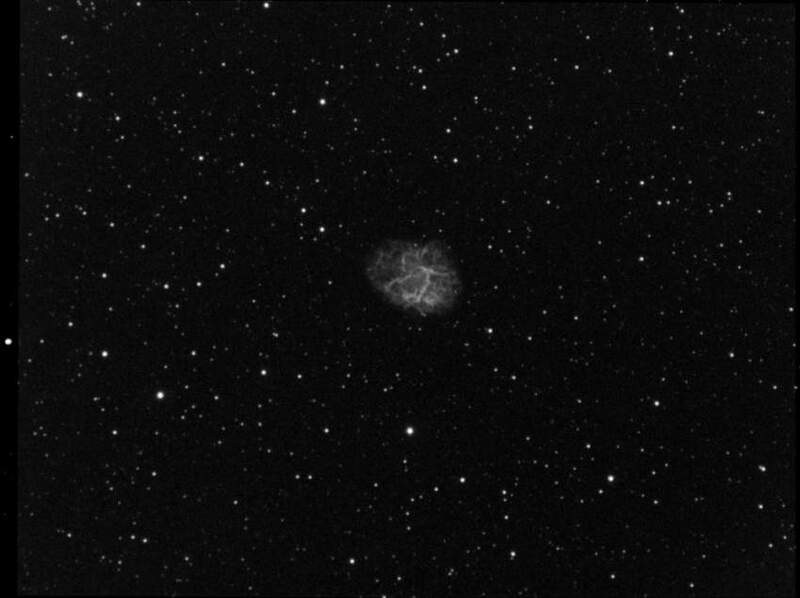 Here is M1 from last night. 21 4 Min Subs in Ha. Captured and processed in AstroArt6. I am sincerely admiring your image of the Crab Nebula in Taurus. Rumour has it we will have clear skies on Tuesday night. This image is encouraging me to do some observing then. Superb Michael, what an amazing object. That shell is still expanding at 1000 mph after nearly 1000 years; images taken only a few years apart show the changes. Been lately reading C Mollan's bio of Lord Rosse, plenty of mentions for the Crab there.